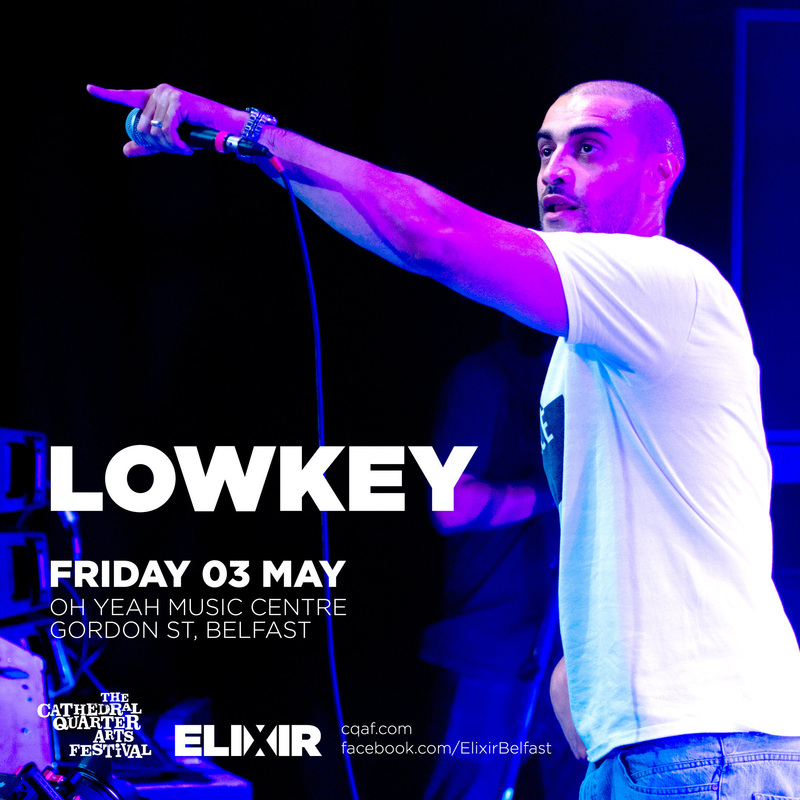 The Elixir team are delighted to be teaming up with the Cathedral Quarter Arts Festival this year to bring the UK’s most prominent MC Lowkey to the Oh Yeah Centre! Born Kareem Dennis in London in 1986 to an Iraqi mother and English father, he first started rapping at the age of 12 and cut his teeth at Carnaby Street’s legendary Deal Real records. After releasing his respected 2003 Key to the Game mixtape, he took a hiatus and returned in 2009 with debut full length Dear Listener, at the same time as releasing an album with Reverend and the Makers frontman Jon McClure, Arctic Monkeys drummer Matt Helders and members of Babyshambles to form the group Mongrel. Following several humanitarian aid missions in Palestine and various charity projects, he released his critically acclaimed sophomore outing, Soundtrack to the Struggle, in 2011.